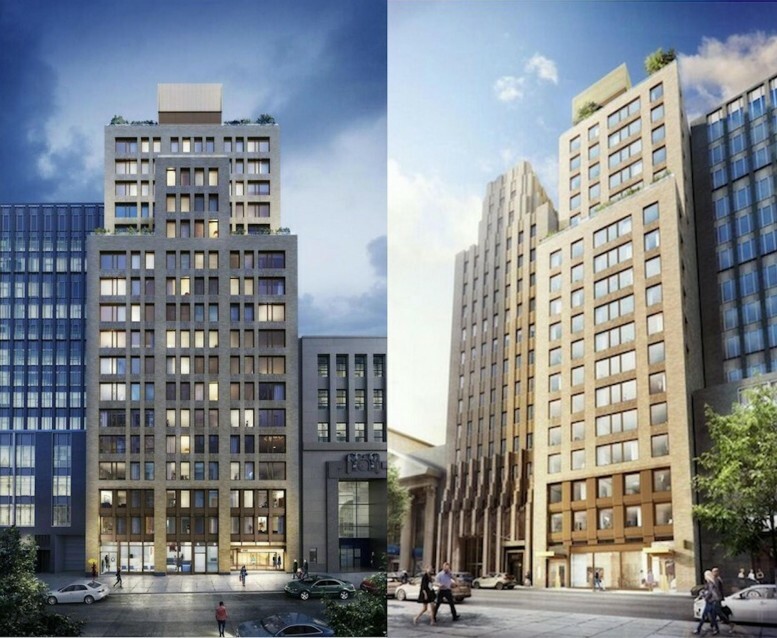 Jonathan Rose Companies has finished knocking down a nine-story office building and a four-story residential one at 146 Pierrepont Street in Brooklyn Heights, where they’re planning a 19-story, mixed-use tower. 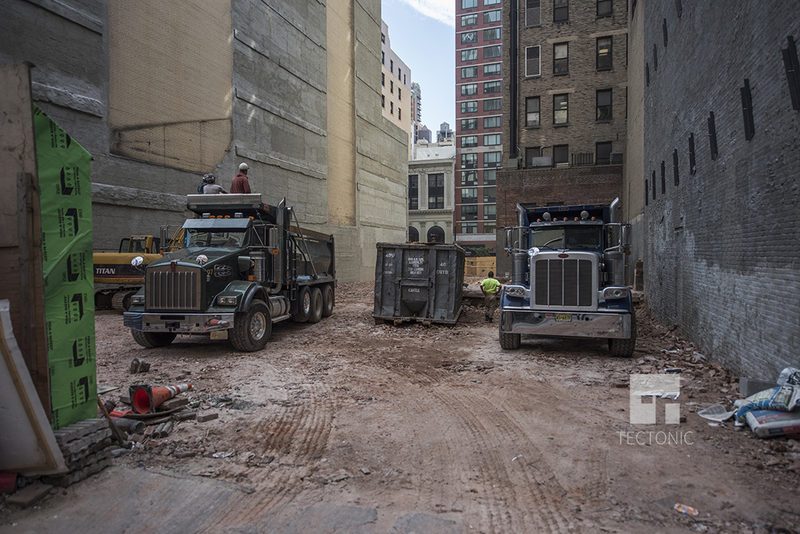 Tectonic recently swung by the site between Clinton Street and Cadman Plaza West and sent along this shot of the demolition progress. Plans were filed over a year ago for the project, and renderings surfaced a month later for the building, which is being designed by Marvel Architects. The latest crop of building permits calls for 86 apartments and 6,036 square feet of office space on the ground floor. Those 86 units will be divided across 128,758 square feet of residential space, which means the average unit will measure 1,500 square feet. Apartments would start on the second floor, and most floors would hold two to four units. However, several upper stories—the 13th through 15th and 16th through 19th floors—would have just one full-floor apartment. Twenty percent of the apartments will be affordable housing, according to the architects’ page on the project. We assume that they’re receiving the 421-a tax exemption in exchange for including the below-market units. Jonathan Marvel’s firm handled the design well, choosing a white brick that matches the block and putting in a setback that nearly lines up with the Art Deco bank next door. Rose purchased 146 Pierrepont for $5.7 million last year, bought 181 Montague Street next door for $36.5 million, and paid $9.6 million for 189 Montague Street in May of this year. 1 Comment on "146 Pierrepont Street in Brooklyn Heights Cleared for 19-Story Tower"
Transformer ready to work at site, he immediately built in on tower’s full of 19-story.